Attractions: Mutawintji and Paroo-Darling National Parks, The Paroo River, The Darling River, Historic Sandstone Buildings. Activities: Fishing, Sports, Hiking, Camping, River Tours, Swimming. 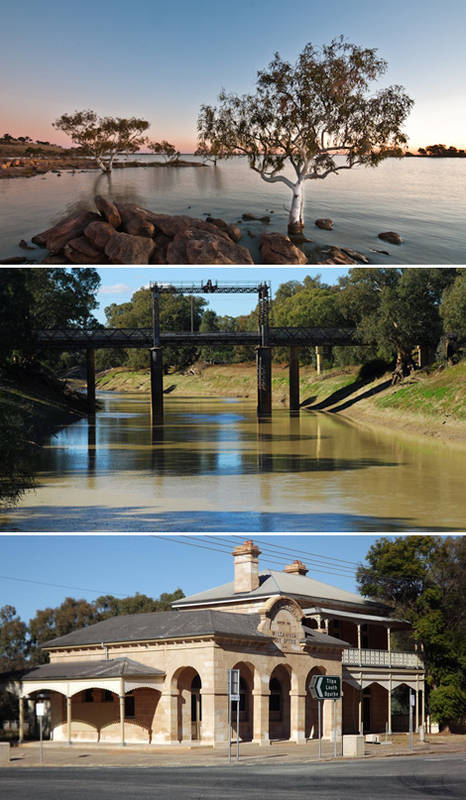 Wilcannia is an historic Darling River port town, 200 km east of Broken Hill. By the 1880s, Wilcannia was the third-largest inland port in Australia with a population exceeding 3,000 people. The town’s role as a prosperous riverboat trade port is evident today from many heritage buildings quarried from local sandstone. The Darling River, which cuts through the town, softens the surrounding semi-arid landscape. The Paroo–Darling National Park, 60 km north-east of Wilcannia, is a major wetland ecosystem. Some 55 species of birds have been recorded, along with many threatened fauna species. www.visitnsw.com/wilcannia - NSW Destination Information. www.wilcanniatourism.com.au/ - Local Visitor Information. www.centraldarling.nsw.gov.au - Local Council Website.